Summer living — and eating — in Los Angeles is sweet. From sweeping seaside and rooftop views to Spanish-style patios and glamorous Hollywood hangs, Los Angeles offers an amazing selection of restaurants where you can take in the sights on your plate and the natural ones around you at the same time. 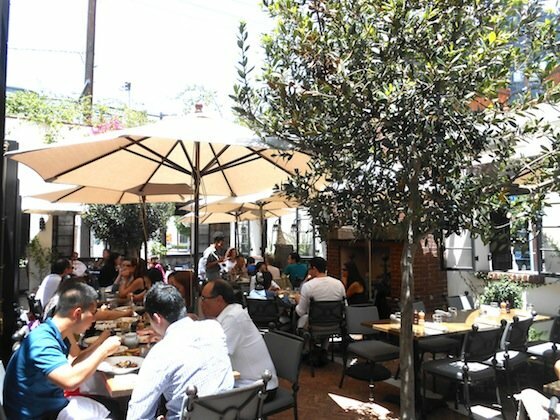 Turn the page for the city’s 10 best outdoor patios. Step inside the new iteration of AOC and out its wide-open side doors for a little taste of California Wine Country or maybe the European countryside. The restaurant spills out into the patio, an adjoining room with three walls and no roof. There are two family-style booths set back into tiled walls on each end and cute country-style windows all around. 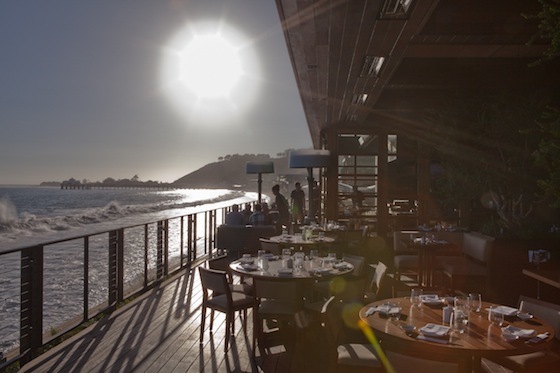 But the best view is up — at the restaurant’s balcony, its foliage creeping along the edges of the roof or just straight above at the expansive sky. Serving both lunch and dinner, Suzanne Goin and Caroline Styne’s wine bar also, unsurprisingly, boasts an extensive wine list of several pages, which arrives on a clipboard. What to order: clams in sherry and garlic with toast. 8700 W. 3rd St., Los Angeles, 310-859-9859. The Peninsula in Beverly Hills comes off as a playground for the rich and famous. But, travel through the high tea lounge, up the elevators to the penthouse and past the spa and a relaxing Roof Garden appears with a relaxing vacation vibe. The pool is even further up the steps, so the noise from frolicking families can only be heard on a stroll to the edge of the patio for a bird’s-eye view of L.A. Every weekend evening through September 1, executive chef David Codney fires up the grill and serves barbecued specialties, including baby back ribs, duck tacos and Australian rock lobster tail. What to order: fish tacos. 9882 S. Santa Monica Blvd., Beverly Hills; 310-551-2888. Hi guys this is one of the beautiful Restaurants in the world.who wants to join here.